For the last three months, I’ve been taking ten middle schoolers for a Hike and Write elective at the school in which I have been a long-term substitute teacher. 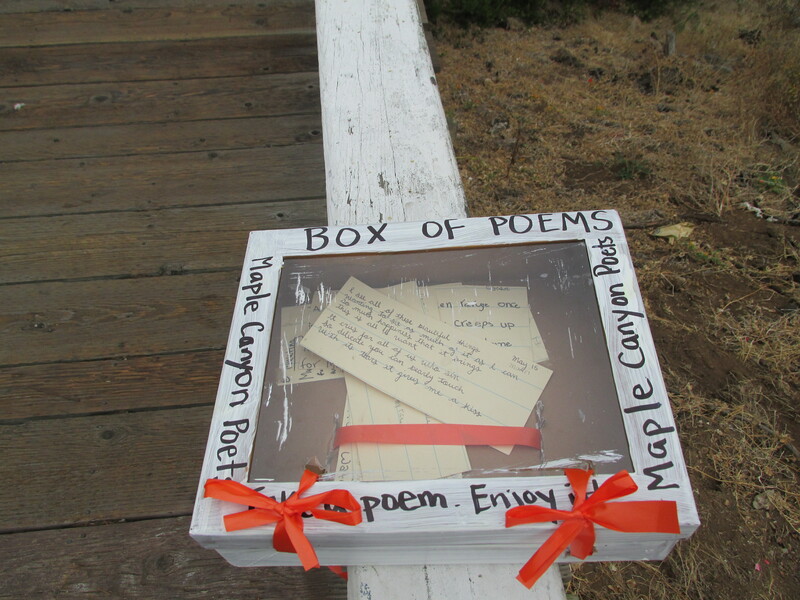 We discovered the Maple Canyon footbridge, and then found trails down into the canyon, where we hike a little and write a bit to prompts I toss out. 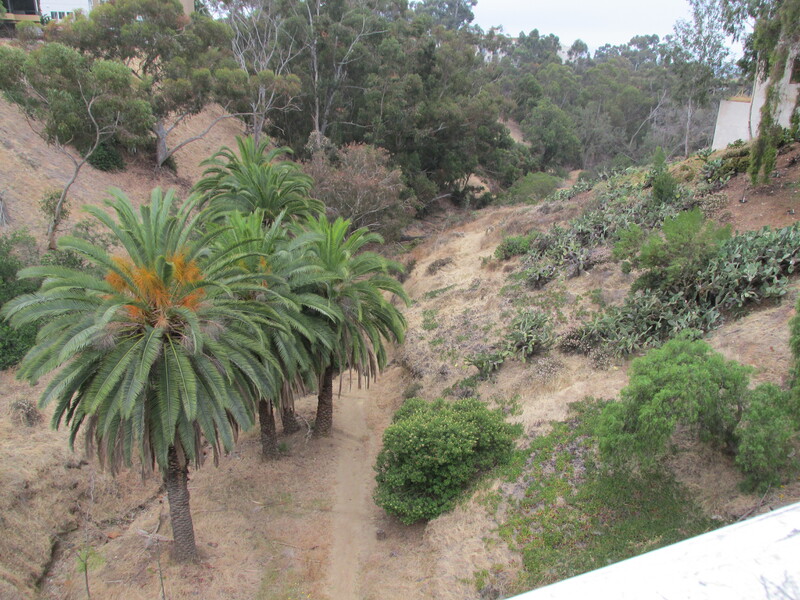 One day, as we sat writing on the bridge, we saw an older women enter the bridge from one end. She was small and bent, and walked into the cloudy morning with a slightly shaky step. Then we saw another women step to the other end of the bridge, and stand still. 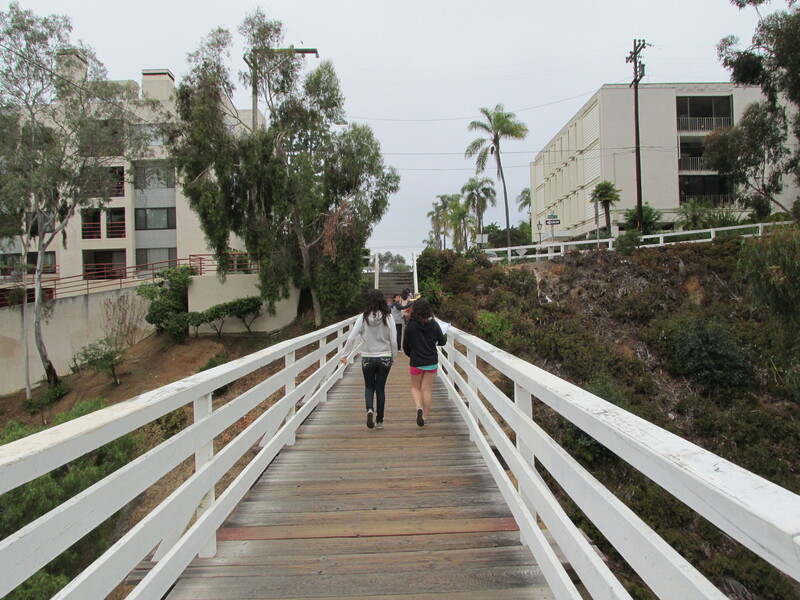 When the other woman reached the end of the bridge, the two greeted each other with smiles, and then walked away together. It was a lovely little moment. We talked about bridges as physical objects helping people reach each other, and as metaphors for the ways we make connections in the world. 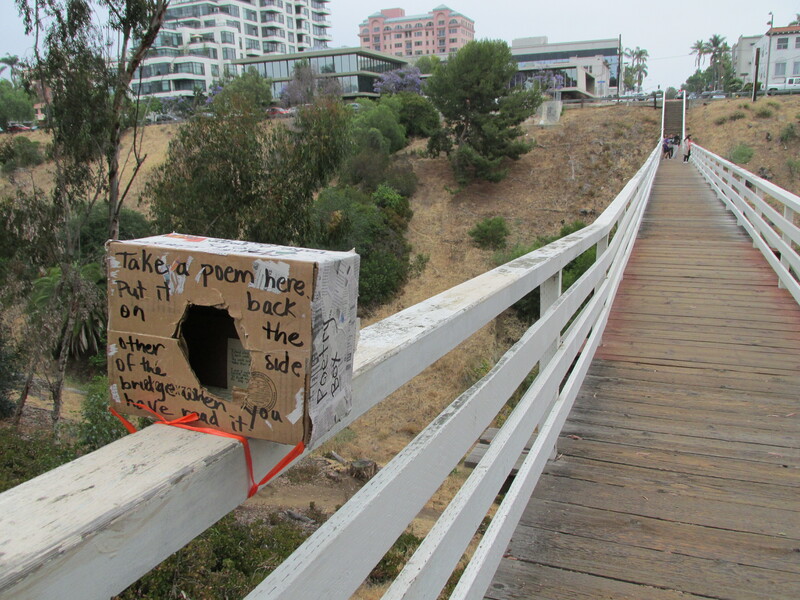 In the end, students wrote poems about bridges, and created poetry boxes to share their poetry with people crossing the bridge. Here is my bridge poem. going to a time I will not follow. like a jumping off point to end sadness.